If you like Pixar, chances are you have very strong opinions on your favorite movies (and the one movie you don’t love). Welcome, you’re among family! The relationship Disney and Pixar have might not be all butterflies and rainbows on their end, but what they produce together is pure movie magic. Star race car Lightning McQueen and the incomparable tow truck Mater take their friendship to exciting new places when they head overseas to compete in the first-ever World Grand Prix to determine the world's fastest car. 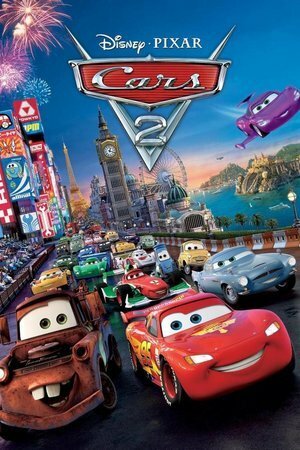 Cars 2 is a movie not for movie or Pixar lovers, but children. 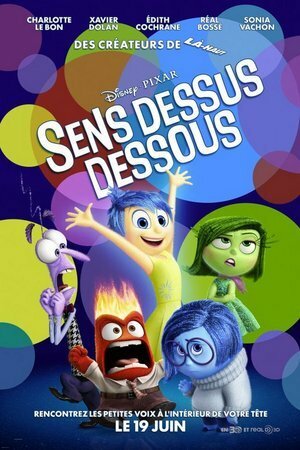 Essentially, most would assume that Disney/Pixar films are meant for children, but you'd be wrong. All of these films include jokes and situations that only adults can fully understand, but Cars 2 is not a film you'll enjoy again and again if you're an adult. It'll make you question why there was even a sequel to Cars or why there is going to be a third film before The Incredibles 2 comes out. 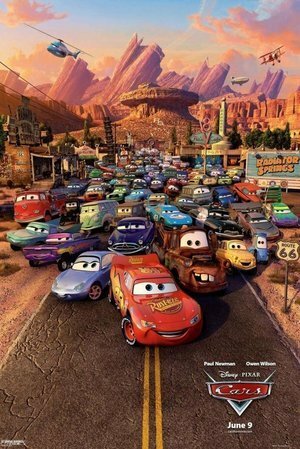 While we can honestly due without any Cars films at all, we can at least appreciate the idea behind the first film in this series, though we're not terribly fond of the execution. The only enjoyable thing about this film is Mater and with Larry the Cable Guy as the voice, that's entirely debatable too. The story of how Mike Wazowski and James P. Sullivan overcame their differences and became best friends is recounted. Don't get us wrong, we loved Monsters University. It was the follow-up to Monsters, Inc. we never knew we needed. 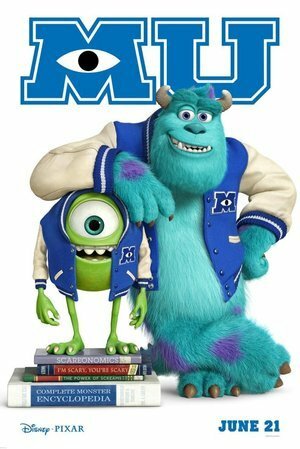 Finding out the story behind Mike and Sulley's friendship was adorable, especially learning they'd started out as enemies but taught each other to embrace their unique qualities. The best part of this film is the additions, with strange and lovable characters like Squishy, Don, and Art. Set in the Scottish Highlands, a royal girl named Merida dreams of making her mark as a great archer. Everyone credits Frozen for teaching young children not to marry the first man you meet, but it was Brave that taught us that you don't have to marry anyone if you don't want to. 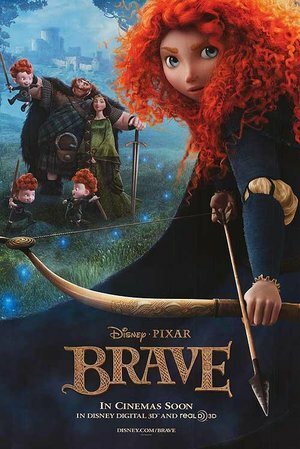 Brave is the only Disney princess film to get the Pixar treatment and we think it was a great choice, while it may not be our favorite princess flick (Tangled for life), it's a very relatable story of a girl who fights with her parents to get what she wants and in turn, everyone learns a valuable lesson about their lives. We think Pixar was the only company who could handle making those baby brother bears as cute as they were. A misfit ant goes on a mission to save his colony from grasshoppers and recruits a collection of inept circus bugs to help him. A Bug's Life was Pixar's second full-length feature film, after their mega successful hit Toy Story. While it may not be as iconic, it's still a great film. Why else would they still have A Bug's Life themed areas in Disney Parks if it wasn't great?! It's also one of many films that has a twin (that being the less successful and less critically enjoyed Antz). 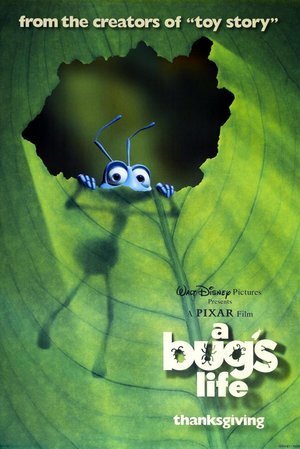 A Bug's Life follows Flik, an ant with an idea for innovation, but he never seems to have luck on his side. It's a story that we can all relate to, while enjoying his adorable fumbles in front of his crush the Princess and his wacky circus friends. An Apatosaurus named Arlo makes an unlikely human friend, learns the power of confronting his fears and discovers what he is truly capable of doing. 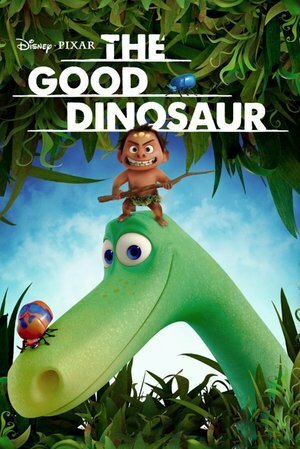 While everyone hailed Inside Out as the greatest Pixar film of 2015, we think The Good Dinosaur, Pixar's second film of the year, stood out as well. A heartbreaking story about a little dinosaur who gets separated from his family, this film is beautifully executed cinematically and tells a much different story than we're used to seeing from Pixar. It was a welcome change that made us laugh and cry (a lot). Adventures of a rodent in an upscale restaurant. If you're a big fan of Pixar, then you've obviously noticed a theme of people, animals, monsters, toys, and more achieving their dreams. 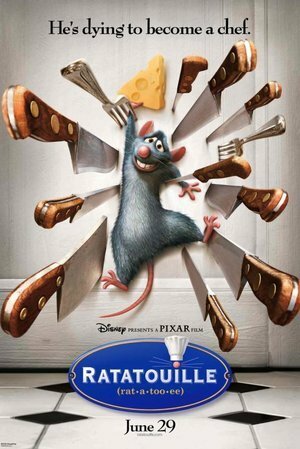 Ratatouille is one of the biggest examples of that theme. Remy has high aspirations of becoming a chef, but the only problem is...he's a rat. Lucky for him he makes friends with young kitchen worker Linguini and they're both able to achieve what they want by working together. Not only is this movie adorable, it'll have you dying to eat some French cuisine. The adventures of toys Woody and Buzz Lightyear continue when their owner Andy goes off to summer camp, leaving them to their own devices. Things take a bad turn when an obsessive toy collector kidnaps Woody because he is a highly valuable collector's item. Buzz Lightyear, Mr. Potato Head, Slinky Dog, Rex and Hamm, all leap into action to rescue Woody and get home before Andy returns from camp. 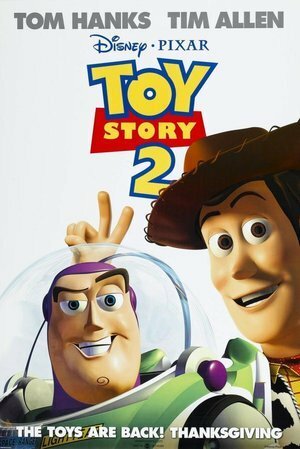 Of the Toy Story bunch, the 2nd film is the weakest (but still great) and least favored. Personally, we love it very much, but people who are nostalgic prefer the original for sentimentality or the 3rd because of it's emotional story. However, for us, the 2nd film tells an emotional tale (Jessie's song "When Somebody Loved Me" will make you weep) that really shone. The whole arc with Woody and the rest of the roundup game was excellent and we didn't expect it all from the beginning of the film, though as soon as we saw the Prospector, we knew why they called him Stinky Pete. 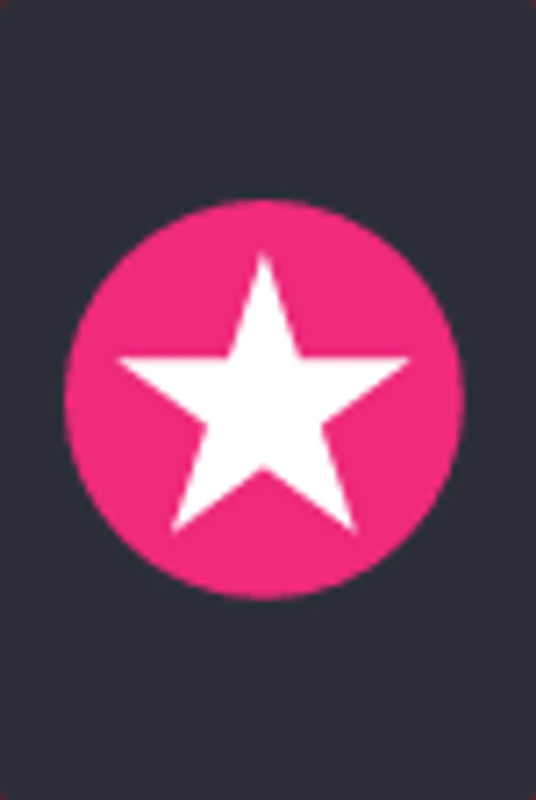 If you're been on Tumblr in the last few years, then you know The Incredibles has an enormous fan base that is literally dying for more. This film begins with a former hero, stuck in suburban life with his children and wife, clearly unhappy with the boredom of his life. But like any good movie, that boredom doesn't last for long. 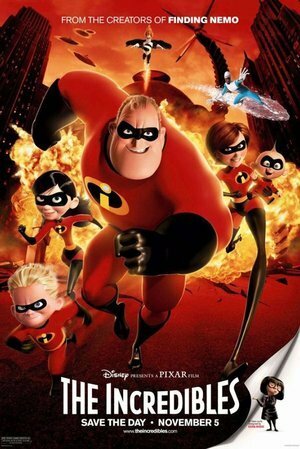 The Incredibles is a clear shout out to popular comics and heroes of the past, with an upbeat twist of making them a family of superheroes (even baby Jack Jack)! While it's been over a decade since the first film, in 2019 we will FINALLY get The Incredibles 2, though details on that film aren't officially revealed. A young robot looks for a home in outer space. 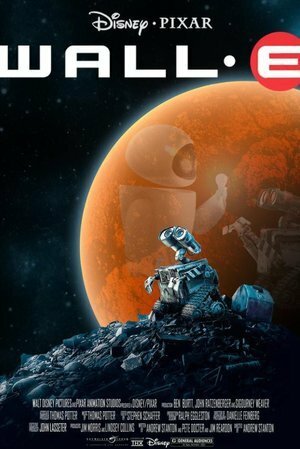 Unlike every other Pixar film, WALL-E is a movie with minimal dialogue throughout. The title character can only say two words, the names WALL-E and EVE, yet he stole our hearts the first moment we saw him. Some might think that the lack of dialogue means that this film isn't as entertaining or emotional as a typical Pixar film, but we'd argue that the lack of dialogue is what makes it so emotional. WALL-E only needs to show EVE how he feels for her in order to prove his love and together, without words, they're able to save a place that was left to rot and turn society into something great again. A comedy set in a surreal realm, where chaos ensues after a hapless monster lets a human child into the secret world by mistake. We loved Monsters University, but we love Monsters, Inc. much more. Who'd have thought that a movie about monsters could make us all feel so much? Mike and Sulley's friendship has pretty much defined our friendship goals for the last decade. But ever since we've seen Monsters, Inc. we've never looked at a door the same way. What does the monster behind our door think of us? 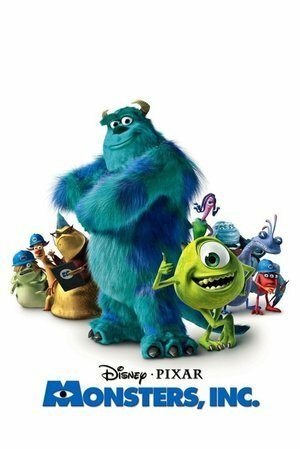 Pixar always seems to create characters to steal the show and in Monsters, Inc. that was Boo. That adorable little toddler taught the world of monsters that humans aren't actually the enemy and that laughter is always the best solution. 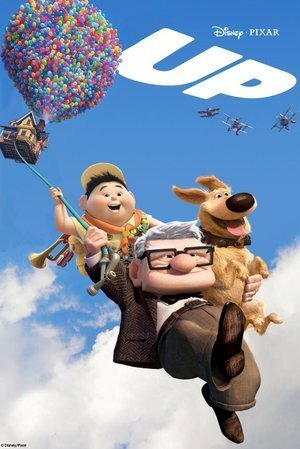 Carl Fredricksen is a 78-year-old balloon salesman who finally fulfills his lifelong dream of a great adventure when he ties thousands of balloons to his house and flies away to the wilds of South America. But he discovers all too late that his biggest nightmare has stowed away on the trip - an overly optimistic 8-year-old Wilderness Explorer named Russell. Over the years, Disney (and even Pixar too) has told many love stories. But no love story is more beautifully told than Ellie and Carl's in Up. It is also the most heartbreaking story that Pixar has ever told. Within the first 5 minutes of the movie, you'll be crying your eyes out and asking "Why Pixar, WHY!?" But the reason Up is so great, love story aside, is watching Carl learn to enjoy life again after the death of his wife and seeing Russell find a father figure that will support his wild ideas, like adopting a talking dog and giving a Snipe the name Kevin. 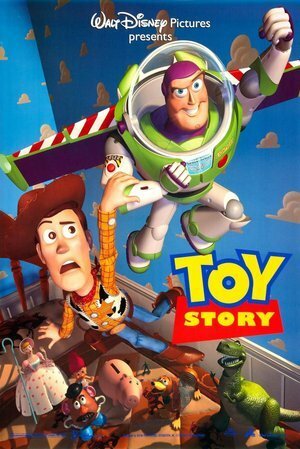 The original Toy Story was the start for Pixar and what a start it was. We still get teary eyed every time we hear "You've Got a Friend In Me" and we tell our best friends we'll go to infinity and beyond with them always. Toy Story isn't as shiny and new as the Pixar films we're used to now, nor is it a friendly as the others. Buzz, Woody, and the rest of the toys are actually a bit of an unfriendly bunch as they learn to adjust to a new toy and what that means for the rest of them, but not everyone has to be nice, not even toys. In the end, they were all friends and the evil Sid was put in his place. When Riley moves from the Midwest to San Francisco with her family, her very animated emotions fall into chaos as Riley tries to adjust. Inside Out was easily the best animated film of 2015, maybe even of the last few years. It's message "you can't have happiness without sadness" is simple enough for children to understand, but deep enough for adults to emotionally connect to. We still haven't forgiven Pixar for breaking out hearts with that Bing Bong scene. The real breakout character here was Sadness, who knew we'd love someone so negative, but Sadness stole the show. Nemo, an adventurous young clownfish, is unexpectedly taken to a dentist's office aquarium. It's up to Marlin his worrisome father, and Dory a friendly but forgetful tang fish, to make the epic journey to bring Nemo home. "Aww, you guys made me ink!" From dozens of quotes to laughable moments to Dory speaking whale, Finding Nemo has pretty much everything you'd need for a favorite Pixar movie. 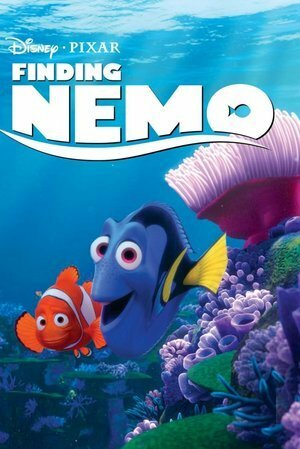 Marlin's search for his son Nemo, with the assistance of the world's most forgetful fish Dory, is one of the most epic stories that Pixar has ever told. Warning: If you cry easily, just skip the first 4 minutes of this movie. When Andy leaves for university, his toys are accidentally donated to a nursery school where the children do not treat them well, so they plot their escape. In most series/franchises, the 3rd film is never usually the best. But Pixar is a different beast. 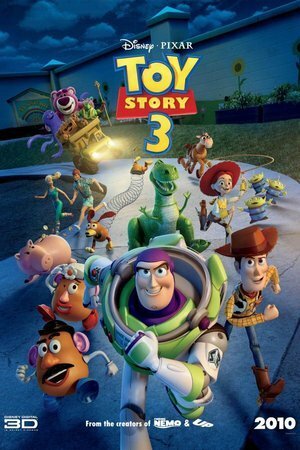 Toy Story 3 was not only a box office success (which isn't too hard for Pixar) it was an overall success, largely credited to it's nature of growing up. The film's emotional story of Andy leaving for college and choosing which toys to keep and part with will hit home with everyone, adult or child. It's even more emotional if you happened to graduate around that year (class of 2009 here!). If you're anything like us, you spend the last 20 minutes of this movie just sobbing and missing your childhood. If you’re still dying for new Pixar, check out our list for every upcoming Disney (and Pixar) movie!